The standards for prescribing set out our expectations of education providers delivering training in prescribing. This also includes the knowledge, understanding and skills we expect a prescriber to demonstrate when they complete their training. 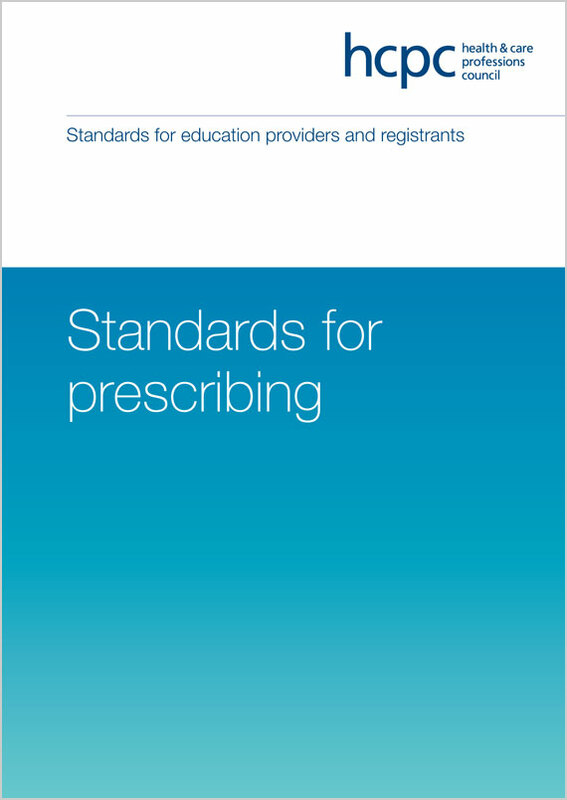 The standards of prescribing apply to chiropodists / podiatrists, physiotherapists and therapeutic radiographers who are trained either as supplementary prescribers or as supplementary and independent prescribers. They also apply to diagnostic radiographers and dietitians who have completed training to become supplementary prescribers. These standards are effective from 20 August 2013.